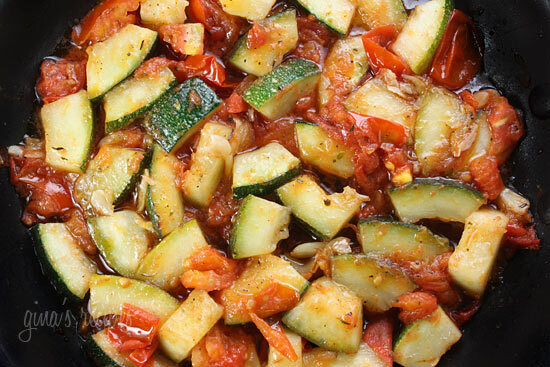 This simple side dish recipe is a great way to use your summer garden zucchini and tomatoes. Use a good extra virgin olive oil and fresh tomatoes for the best flavor. My husband raved about this and asked me to make it again tomorrow. This would be wonderful over pasta! Add garlic and sauté until golden. Add zucchini, salt and pepper. Cook about 4-5 minutes on each side, add tomatoes and season with additional salt and herbes de provence. Lower heat and simmer about 5-10 minutes. Divide into 4 equal portions when serving. Awesome recipe! And so low in calories! Love it! I made this and modified it to be 1 tbsp of olive oil and 1 tbsp of balsamic and it was extra tasty! It still says 91.8 calories per serving, but a message above says that it is 55 calories per serving. Just wondering which it is. 🙂 Thanks! made this tonight…it was awesome!! didn't have herbs de Provence so I used Italian seasoning and it turned out great…I can just imagine it with some fresh basil with it to….yummy. This will definitely be made in my home many times. Thank you for the recipe. This was so good!!! I didn't have plum tomatoes so I just used regular tomatoes and I also added 2 small eggplants. My DH is a meat and potatoes guy, but this got a DELICIOUS outta him!!!! This recipe is definitely a keeper! 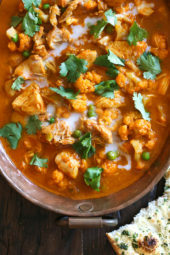 Thanks for sharing and keep all the great recipes coming!! This was so good! I did add 1/3-1/2c tomato sauce to sauce it up a bit more because I put it over whole wheat angel hair. I didn't have plum tomatoes on hand and used grape tomatoes instead, so it needed this. VERY good! I also put it into the WW recipe builder and it came up 2p+ for me. Thanks for all of your great recipes! So I'm confused is the calories 91.8 or 55? I see a comment where you said it was updated but it is no different today? They sell it in the spice aisle. Where can I find Herbes de Provence? Weight Watchers has a similar recipe on their site with shrimp. I put this over couscous for a filling main dish. So good! Absolutely loved this dish. I think it will become a staple side at my house. Sooooooooo amazing! This would be great as a main dish over pasta or rice. I increased the garlic to 6 cloves and did 3 medium zucchini to 15 campari tomatoes. Add a shake or two of crushed red peppers. YUM!! Cooking time and ingredients spot on YUM! Love the idea of adding shrimp. I'll have to remember this. Thanks for the recipe- we had it with the chicken picatta. Yum! Great idea adding shrimp, This is really a delicious recipe, especially with summer tomatoes. Adding chicken or shrimp and serving it over pasta makes this a wonderful complete meal. I made this delicious recipe last night. I wanted it as an entree, so I added med. shrimp and put it on 1 cup of whole wheat angel hair. Yummy and very filling! You can really use any herbs you prefer. All your variations sound great. I made this the other night and it was great. I couldnt find plum tomatoes and I didnt have the herbes de provence, so I used caprese tomatoes and I just added some italian seasoning. It was really good. I had also made the cilantro lime rice and served the zucchini over the rice, it was delicious. I actually liked them together versus eating each seperate. I had also made the baked chicken with dijon and lime, which went well with everything. I will definitely make this again. Just made this last night, and it was a great side 🙂 Thanks for the recipe! I do this a lot, however, I also add diced onion to the sautée and season with fresh dill or dill weed instead of the Herbes de Provence. If pressed for time, I have been known to put all of the ingredients together and do them in the microwave. It makes a surprisingly tasty dish. I think the olive oil and herbs make the dish. 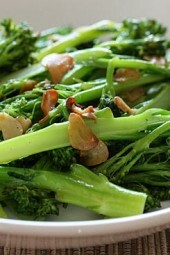 Great with anything, but especially enjoy this as a side dish with fish. @ Patsyk – So simple! @ tracyc, lol that's very funny! @ natalie, I love adding zucchini to my sauce! Thanks for this recipe. I had created a very similar recipe and used 1/2 cup of low-salt jarred tomato sauce. 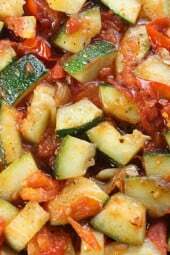 In addition to the sauce, I added zucchini, tomatos, and red and green peppers. I topped it with a dollop of low-fat ricotta cheese. Delicious! doesn't get easier than that! 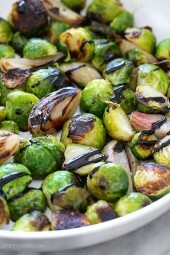 and what a way to focus on the fresh flavors of those veggies! yum! omg made it just now and I have to say it is so so good I keep taking bites lol. @Anonymous, that was a tyo, thanks for pointing it out! It's 55 calories per serving, I re-adjusted it! Why so many calories per portion ? because of the olive oil? OMG This looks so good! My husband would love it and my daughter loves herbs de provence! Gotta try it! That looks so good! I love zucchini. I hated it when I was younger, but now I really like it.